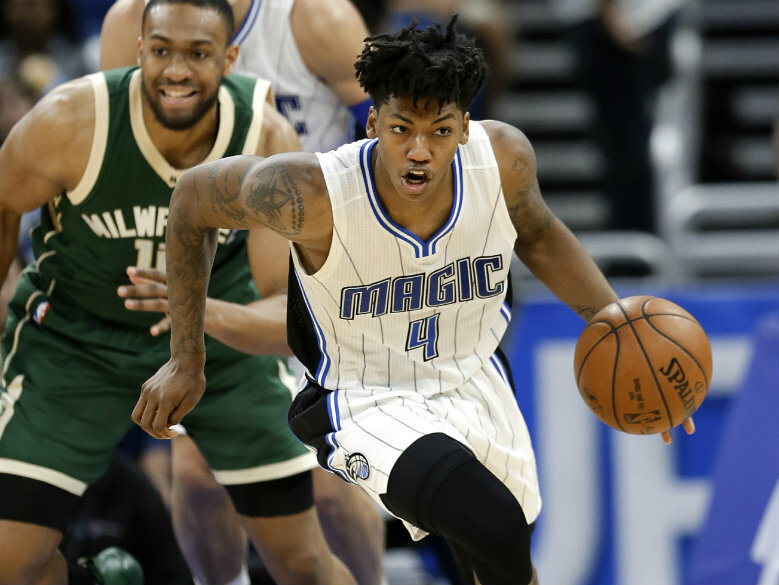 MANILA – The NBA (National Basketball Association) announced today that Orlando Magic's Elfrid Payton and Sue Wicks, former WNBA player will travel to Manila to coach in the Jr. NBA Philippines 2017 National Training Camp and help players from around the country vying to be named 2017 Jr. NBA All-Stars. The National Training Camp will be held at the Don Bosco Technical Institute May 12-13 and at the SM Mall of Asia Music Hall on May 14. Payton and Wicks will also serve as coaches at the annual Jr. NBA Alumni All-Star Game featuring past Jr. NBA standouts from across the country. Participation in this year’s program increased by 50 percent from 2016, reaching more than 30,000 players and coaches in cities including Bacolod, Batangas, Cagayan De Oro, Cebu, Davao, Lucena, Metro Manila, and Puerto Princesa. Payton, who was drafted tenth overall in the 2014 NBA Draft, was named to the NBA All-Rookie First Team in 2015. He averaged 12.8 points, 6.5 assists, and 4.7 rebounds per game with the Magic this season. Wicks, a former WNBA All-Star, was selected sixth overall in the 1997 WNBA Draft. She spent six seasons in the WNBA with the New York Liberty and was inducted into the Women’s Basketball Hall of Fame in 2013. The Jr. NBA Philippines 2017 presented by Alaska culminates with the National Training Camp, which features the top 37 boys and top 37 girls participating in advanced fundamental skills training and exhibition games. The finalists were selected from Jr. NBA Regional Selection Camps in Cagayan De Oro, Cebu, Manila, and Quezon, and from the Alaska Power Camp in Manila. At the end of the National Training Camp, eight boys and eight girls will be selected as Jr. NBA All-Stars and will embark on an overseas NBA experience trip with fellow Jr. NBA All-Stars from Southeast Asia later this year. The program will also feature the selection of the 2017 Jr. NBA Coaches of the Year who will join the Jr. NBA All-Stars on the overseas trip. The Jr. NBA, the league’s global youth basketball participation program for boys and girls, teaches the fundamental skills and the core values of the game at the grassroots level in an effort to help grow and improve the youth basketball experience for players, coaches, and parents. During the 2016-17 season, the NBA will reach more than 18 million youth in 53 countries through its youth participation initiatives. The Jr. NBA Philippines presented by Alaska continues to promote proper nutrition and an active lifestyle, serving as an effective platform in implementing Alaska Milk’s NUTRITION.ACTION.CHAMPION. program that helps address the issue of overweight and undernourished children in the Philippines. Cloudfone, Gatorade, Globe Telecom, and Panasonic serve as Official Partners of the Jr. NBA in the Philippines, while Spalding is a Supporting Partner. ABS-CBN Sports + Action, Basketball TV and NBA Premium TV are the Official NBA Broadcasters of the Jr. NBA in the Philippines. Fans can visit the Jr. NBA website and follow the Jr. NBA on Facebook. For all things NBA, visit www.nba.com and follow us on Facebook and Twitter.